An HVAC system — which stands for heating, ventilation, and air conditioning — is an important tool for maintaining a comfortable air temperature in your home. During winter, which is typically long and brutal, a heating system failure could mean you and your family are at risk. In the shorter summers, it is inconvenient to have an AC system fail, but you can work around it until the HVAC repair team from 128 Plumbing, Heating, Cooling & Electric comes to investigate. For any HVAC services in Stoneham, MA, please feel free to contact us. We operate a family-owned business and service clients in the Stoneham community and other Massachusetts locations. For heating systems, we handle oil to gas conversions, maintenance and repair, replacement and installation, and service contracts. For cooling systems, we install, replace, service, and repair central air systems and ductless air systems. For HVAC services, we offer affordable service plans that give customers like you peace of mind throughout the year. Why Choose 128 for HVAC Services? It’s time to stop losing money on electricity costs from an HVAC system that leaks or has other causes that make it inefficient. Call the experts at 128 Plumbing, Heating, Cooling & Electric today, even in the middle of the night or on the weekend. Our friendly service staff will arrange a convenient appointment for HVAC services in Stoneham, MA. We also fix plumbing indoors and outdoors. Schedule our expert technicians to come to your home or business and evaluate your HVAC system for a fair price. 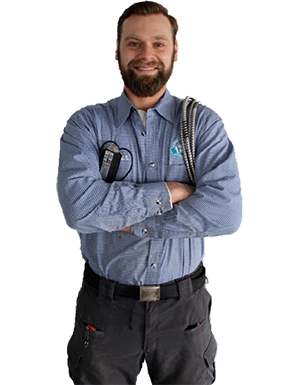 Through your customer satisfaction, 128 Plumbing, Heating, Cooling & Electric will earn your referrals to new customers who want comfortable heated or conditioned air in their homes. To request a free consultation for your next heating or cooling system, please call us at 781-670-3261, or fill out the request form. Our team will promptly provide you with an highest level of attention and service.